For a steal on Armslist... So the PDW build is a go! This is for all intents and purposes a low profile semi concealable defensive apparatus. It is my intent to stick with 556 but I could be convinced to go 300BLK. I want a 7" barrel upper and suppressor. Let's hear the pros and cons of each caliber from the aforementioned set up?? 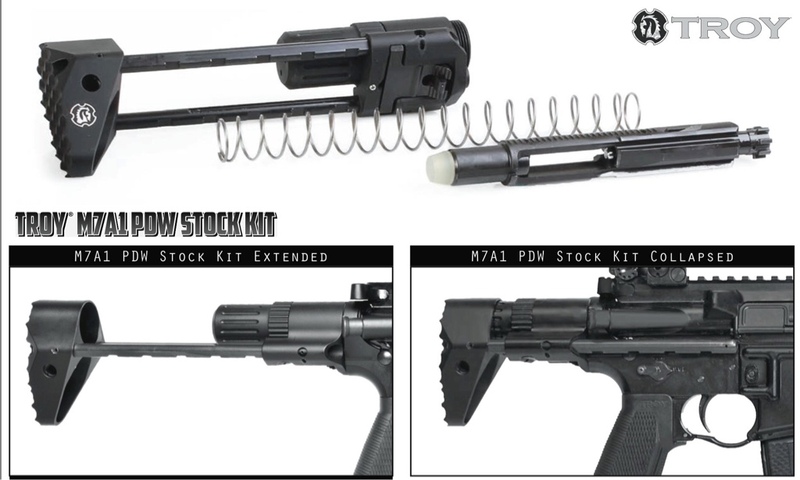 Or you can use this and not have to use that bolt carrier. These are very nice units they had then over at the SAR show back in December. Let me model some loads. You buying off the shelf or loading components.? From what I've read 300BLK it is mo better in the shorter barrels and suppressed compared to 5.56. I only know one guy who has a 300 BLK and his is in a normal AR configuration, but he loves that round. Is this going to be used in conjunction with the Higher Caliber Concepts (hence forth known as HC3) G17? And yes they will be a set! Yay.. Any word on the HC2 G17 ? I and a buddy here use 300aac. Awesome round plus the use of almost all standard AR parts is a plus. Designed around 1 9.5 barrel, 125gr is a great play round, 220 is subsonic. When I was working even the dept thought is was a great round. Lots of industry support. I have built 2 so far. With the 7.62 X 39 everywhere...(Even on the darkside of the moon and also found on Mars!) why are we all go-go eyed over yet another short 7.62? Because the russian based 7.62 doesn't really work well in the AR platform. Bolts break and magazines are iffy. Anything but cheap russian 7.62 is pricey. I was looking at building one but with finding all the issues, I decided no. d- ammo confusion when SHTF because of all the 556 mags I have loaded already. I think we will run 556. So what's the wait time you're looking at for the SBR and suppressor stamps? No rush to decide or not. Its only a barrel when the time comes. 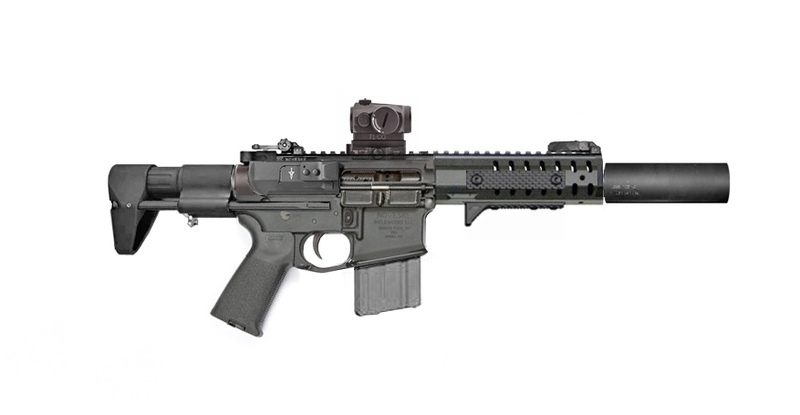 For standard NATO 556 55gn, you lose 900fps at the barrel going from 20 inch to 7. You are going to be spewing hoards of unburt powder as well so your can is going to be extra dirty. at 2200 fps the standard 55 gn will not have the tumbling fragmenting effect that makes it so deadly. Hornady TAP red box would probably be a better choice in a barrel that short. A heavier round would help some. What if I stepped up to 10"? Why 20"? What NATO rifles use 20" barrels? Just curious why you use that as a reference point versus say a 14" or 16" barrel? Government is slow to change, and A1 and A2's (muskets) had 20 barrels. I'm guessing that it became a standard because of those days. So by the time we build and accept our new battle rifle, the standard will change to 14.5" ! When Eugene Stoner designed the weapon the round was designed and tested using a 20inch barrel. The 3120 (IIRC) muzzle velocity of the m193 is based on the 20 inch barrel. This rounds terminal effects were based on the bullet yaw and fragmentation upon entry and the round only does that reliably above 2600fps. With the advent of the shorter barrles, the rifle lost some effectiveness beyond a few hundred meters. below 2600 it tends to just poke a small hole and go through and through and not have the desired effect. So the military began developing a bunch of rounds with heavier projectiles to compensate, like the 77 and 75 gr rounds. I only start with the 20inch velocity because that's what it was designed for. Every other iteration is a compromise of the original design. I'm sure HC, Bobby, Nate and Don and some others can comment from real world experience but reports of bad guys not going down when hit are numerous before the newer rounds were developed. Long story, but one just needs to be aware of the limitations. Like my 10.5 SBR, I don't fool myself into thinking I'm going to have the desired result beyond about 100 because of the velocity drop. The shorter the barrel the more important the projectile and distance to adversary. Of course shot placement can help. As you can see from the ballistics software estimates, the muzzle velocity is 2200pfs with a 7 inch barrel. That begs for an expanding round, which is not allowed in military applications because of the Hague Convention. Seems tailor made for a ballistic tip expanding round. "The legal argument against the use of hollow-points stems from Article IV, Section 3 of the 1899 Hague Convention, which specifically prohibits “the use of bullets which expand or flatten easily in the human body, such as bullets with a hard envelope which does not entirely cover the core, or is pierced with incisions.” Thirty-four nations to date have ratified this section of the Hague Convention; however, the U.S. only ratified the first three articles of the 1899 Hague Convention. Representatives of the U.S. never signed Article IV, and the Senate didn’t ratify any part of Article IV. Further, Article IV, Section 3 states that the prohibition on the use of hollow-points only applies in a conflict between two signatories; even if the US had signed and ratified it, the provisions wouldn’t apply against many current and potential adversaries. A legal fallback is the Saint Petersburg Declaration of 1868, which features similar language prohibiting expanding ammo. But even fewer countries ratified this, and the United States was not invited to participate as the nation was not considered a major power. Failing a legal prohibition, there’s the notion that the United States, even if not legally bound by Article IV of the 1899 Hague Convention, should follow it anyway in the interest in of international precedent; this was the conclusion of the judges at the Nuremberg Tribunals, who determined that the Hague Conventions were part of the customary laws of war, since all “civilized nations” had recognized them by 1939. " If those things work half as good as they look, I would consider that a major breakthrough for suppressing noise. Try it out and get back to us HC !! What's the nut for one of those? Great idea, channel vs compress. I'm a little late to the party on this thread but I figured I would chime in. I've been itching to build an SBR for several years now. Unfortunately the way I travel and my residency "fluctuations" I'm afraid it would be more of a hassle than I want to deal with. I've got the trust already set up and I've started on the paperwork several times but never finished it. I planned on cutting down my colt if I ever decide to do it. That being said I've done a bunch of research on barrel lengths and I decided if I were to do it the 10.5" barrel is the best compromise. You still get decent velocity and it's short enough to actually make a difference in overall length. Add on a can and its about the same overall length as a 16" gun without a suppressor. Anything shorter than that would be obnoxiously loud and throw a significant fireball, a can will handle most of that though. A 7" barrel is going to throw a lot of un burnt powder out and some suppressor manufacturers won't warranty their product on a really short barrel for that reason. As far as effectiveness of the round with a shorter barrel I think that question was answered above. Get a nasty ballistic tip round and it should perform as well or better as 55gr FMJ out of a 20". You can find a round that will be very mean at 10-100 yards. So what's the word? I figure you're still waiting for approval. Actually we are on hold. All available funds are going toward final house necessities and to refilling the savings account! No PDW but my fridge is friggin cool! A cool and full fridge is always a better choice! With the size of that house that could be some wait.